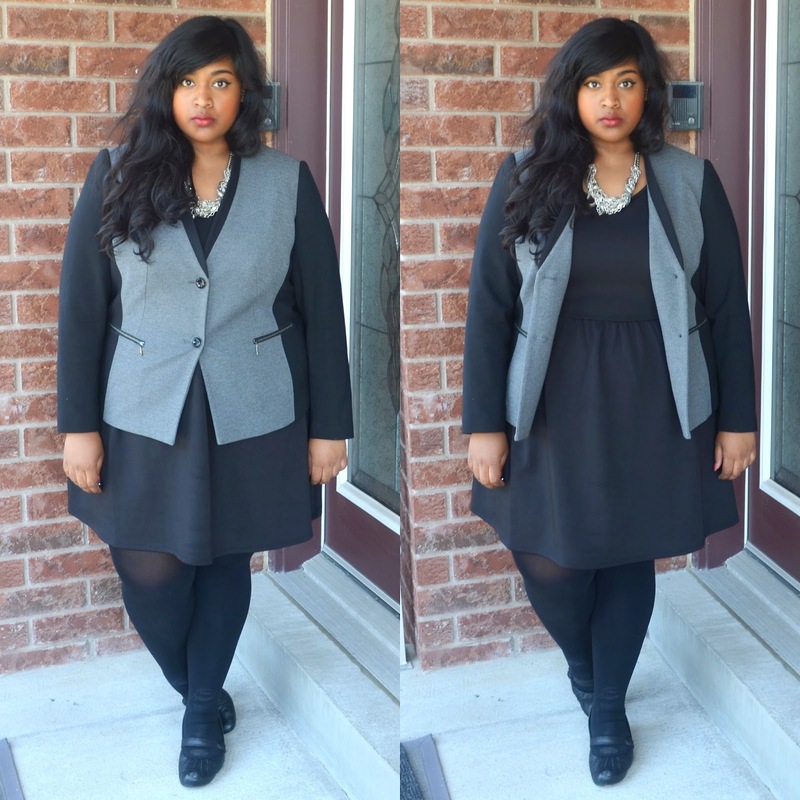 Since the start of my blog, one of the main questions I get are related to office/business clothes - how to style them, where to purchase them, and how to make them work for plus sizes. I realize the struggle that is finding business and business casual outfits for plus sizes - traditional business cuts are just not at all what I'm comfortable in or feel I look good in. Since starting law school, I've really upped my search in finding affordable, comfortable and work-appropriate wear. This summer I have my first full-time, full-fledged, real law job. Luckily, its a business-casual as opposed to strict business attire environment, but finding different ways to wear different outfits 5-days a week over and over has been a challenge. As such, I've decided to dedicate my outfit posts this summer to workwear.